I almost feel like I don’t need to introduce Pinglewin, but I realize you might not have met her yet. If you’re lucky, you might have met one of her friends. Perhaps, Jacob, who Jeni has made using her handspun from a single fleece. Or Winona, who lives at Fluph with Leona and really likes to be social. (And contrary to what Jacob sometimes says, she is not a runt at all). Or Kristin’s Pinglewin, who’s getting good and cuddled. I can’t wait for them all to meet one day. It would be so dreamy to get to actually all be together and share a glass of wine and maybe something fishy for the birds. 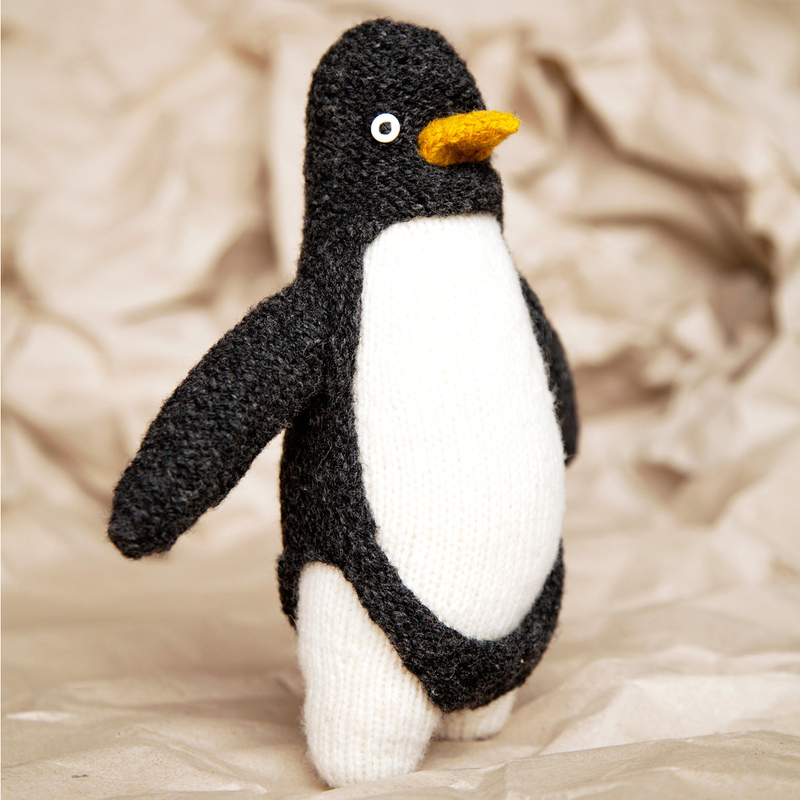 You see, a wonderful gang of test knitters all made their own little penguin and we had a whole lot of lovely communication online. For a brief moment, I thought it’d make a fun Mystery KAL, as there are very distinct sections to the pattern that are a little well, mysterious at times as to how they will link up. 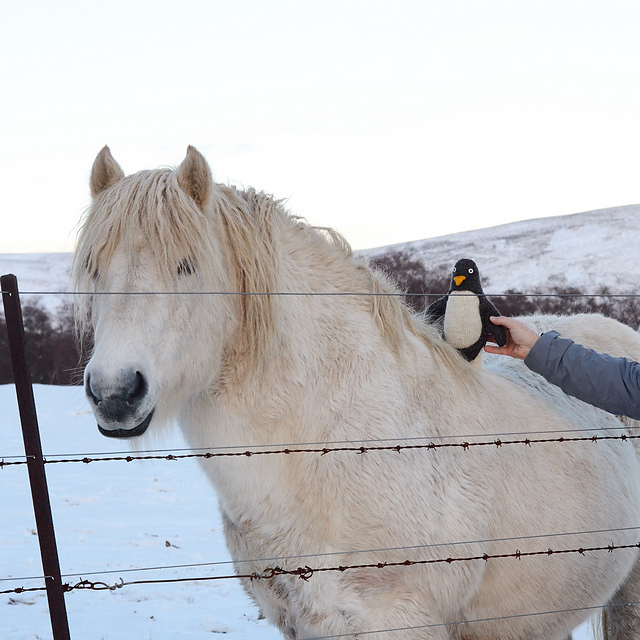 I trailed it on a little group and we all decided it was too fun to know it was a penguin to keep it a secret. 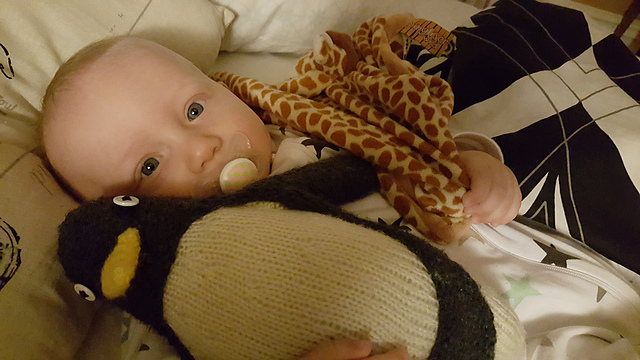 But hang on a minute, is that a penguin? The thing is Pinglewin lost her family in an oil spill. The shock of it turned her permanently white. 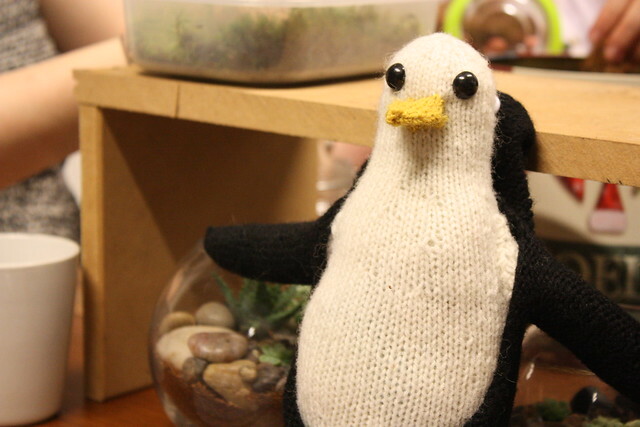 She doesn’t always fancy dealing with the curiosity of others, who stare at her because she is an all-white penguin, and so she has knitted herself a tuxedo hoodie. Wearing it helps her blend in when she doesn’t feel like answering questions. On other days, depending on her mood, you might see her wearing a pink, chartreus or violet one. 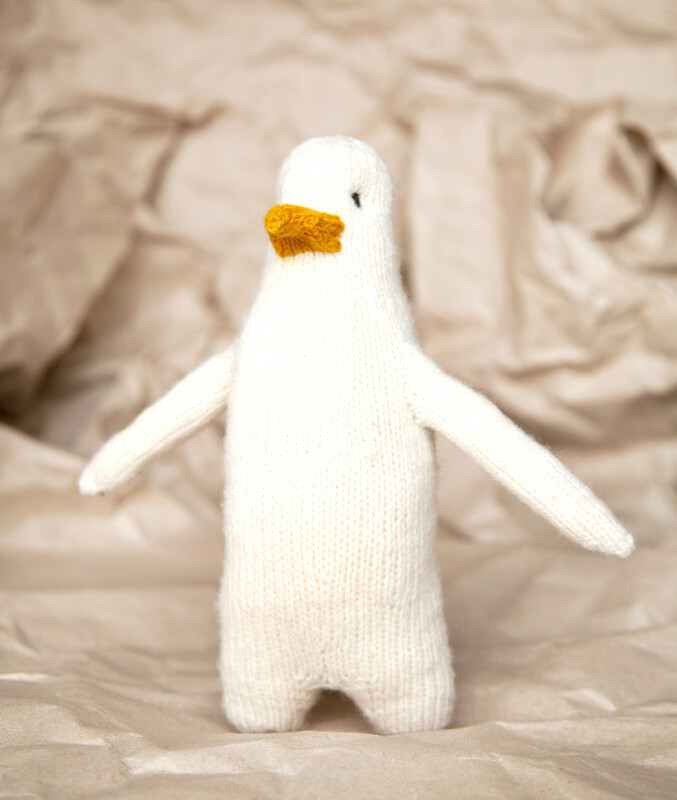 So, firstly you will knit a little single colour penguin in the round on DPNs or circular needles (your choice) and then make her little outfit. The reverse stocking stitch tuxedo hoodie is knitted separately, inside out, so you can knit the whole thing, rather than purl. Making your own Pinglewin will be a little adventure encompassing a range of techniques you may or may not be familiar with. If you have them down pat, it’s a great opportunity to apply your skills. If they are new to you, you’ll find them a joy to have in your arsenal for next time. All of the techniques come in small doses, so if one takes a little practice or requires a redo, you’re not frogging a sweater or even a socks worth and you’ll have that skill at your disposal for future projects. 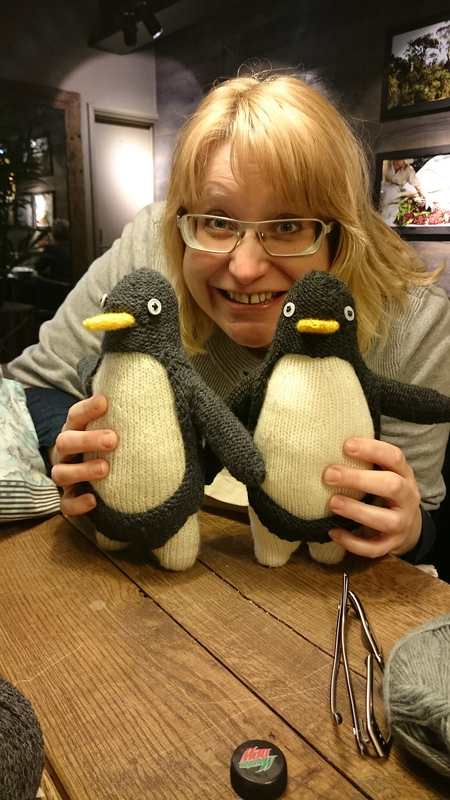 As penguins are very social creatures, I love the idea that the Fleece White and Charcoal SnÃ¦ldan 3-Ply comes in the right size skeins to knit yourself two Pinglewins. That way they can keep each other company or one can go live abroad. Or you could split the skein with a friend, so you can each make one. You’ll need a very small oddment of the Viking Gold (approx. 5g required), so I’d suggest borrowing that from another project, like the Rockhopper shawl (only a 1-Ply, so you’d have to use 3 strands to equal a 3-Ply) or the Flower King hat or Antifreeze socks (the weight of Navia Trio is an easy substitute). 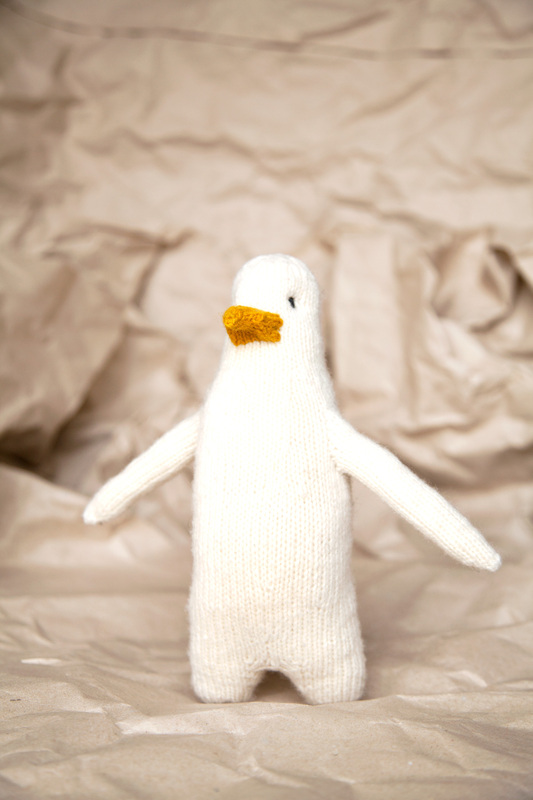 You can get all the yarns from The Island Wool Company and Get your copy of PENGUIN: A Knit Collection HERE! 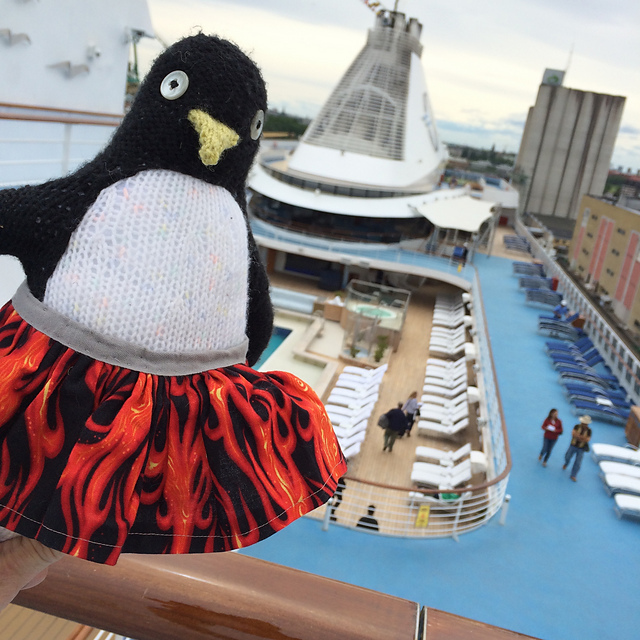 I’m so looking forward to seeing your #pinglewinadventure.